Australian Open 2018 final: Who will create history - Roger Federer or Marin Cilic? The year's first grand slam is about to come to an end. After two weeks of scintillating tennis under the scorching heat at Melbourne Park, we have our top two finalists for the showdown on Sunday. The shocking exits of the resurgent Novak Djokovic and third-seeded Grigor Dimitrov left the fans stunned. 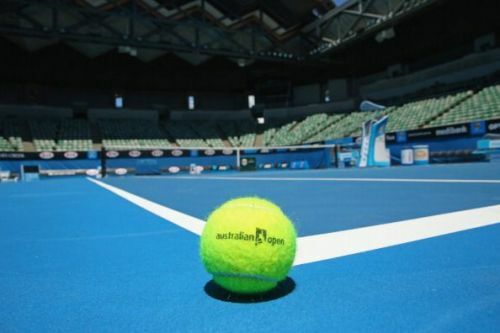 The relatively new faces Kyle Edmund, Hyeon Chung and American Tennys Sandgren, knocked out some top contenders with their exceptional performances, leaving the analysts in a frenzy. Last year's runner-up and World No.1 Rafael Nadal retired due to knee injury, depriving the tennis fraternity of a potential Fedal final. It has come down to a final match-up between the Croatian Marin Cilic and the defending champion Roger Federer. The duo have met nine times in their careers. The Swiss maestro leads the lopsided head-head meetings 8-1, with the sole win of Cilic coming four years ago at the 2014 US Open. Federer has won their last two meetings in straight sets including a record 7th Wimbledon title. The World No. 6, towering at 6 foot- 6, has had a dream start to the season. He beat Edmund 6-2, 7-6 (4), 6-2 in their semi-final clash, blasting 32 winners in the process. He also won 9/10 points on the net which is a good sign as this tactic could him in the final against the defending champion. In the quarterfinal clash against Nadal Cilic proved that he can take the match to the distance, specially the way he dominated the fourth set. He needs to work on his serve returns though, as Federer's strength is his ability to gain quick points in his service games. The World No.2 has had a fairly easy draw and seems poised to retain the Aussie Open title. He has won all his matches enroute the final in straight sets; the semi-final clash ended abruptly when Chung retired in the second set after getting afflicted with a blister on his left foot. Federer won 81% of the points on his first serve in the last meeting against Cilic and won 60% points on return. Cilic's game suits Federer as the Swiss is able to come to the net reguarly, eliciting unforced errors with his smooth returns. Federer would look to take the lead and avoid letting the match go till the fifth set. Cilic, on the other hand, needs to play aggressive right from the start and play close to the baseline to keep Federer on the move. A first time finalist at Melbourne Park, the Croat will hope avoid an injury scare in the final unlike the duo's last year's Wimbledon final. The defending champion on his part will stick to his natural game of taking the ball early and reducing the reaction time of his opponent. 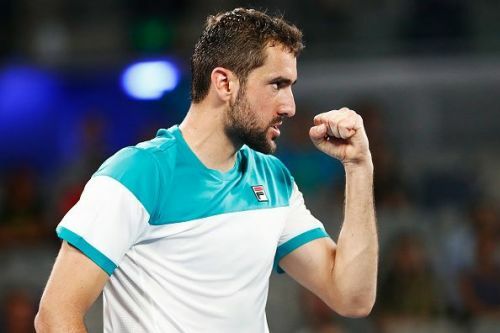 With Cilic hoping to become the first Croatian to win the Aussie Open and Federer eyeing a record sixth title in Melbourne, one player will inevitably create history on Sunday. Whatever be the result, this match has all the elements of a potential classic and the fans will be eagerly hoping that it goes down to the wire.